„Real Coca-Cola taste with zero calories. 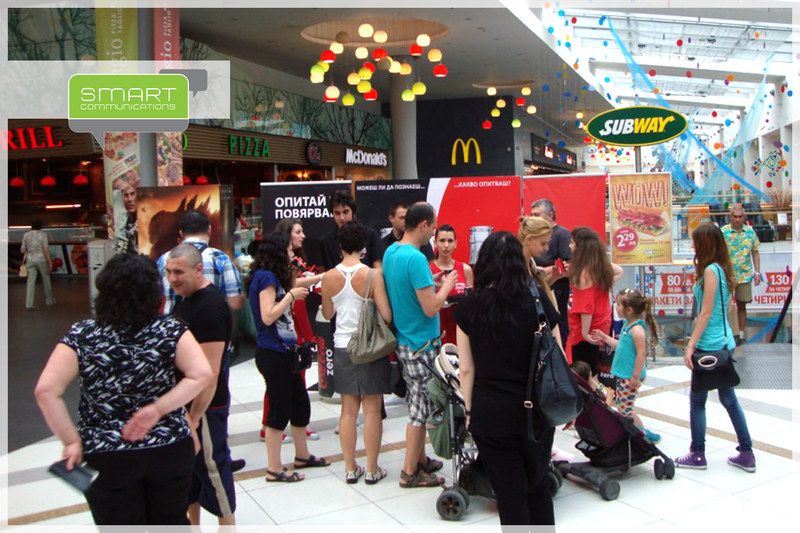 Try and believe!“ This was the message that we delivered to over half a million Bulgarians in the summer of 2014 as part of our experiential marketing campaign for Coca-Cola Zero. 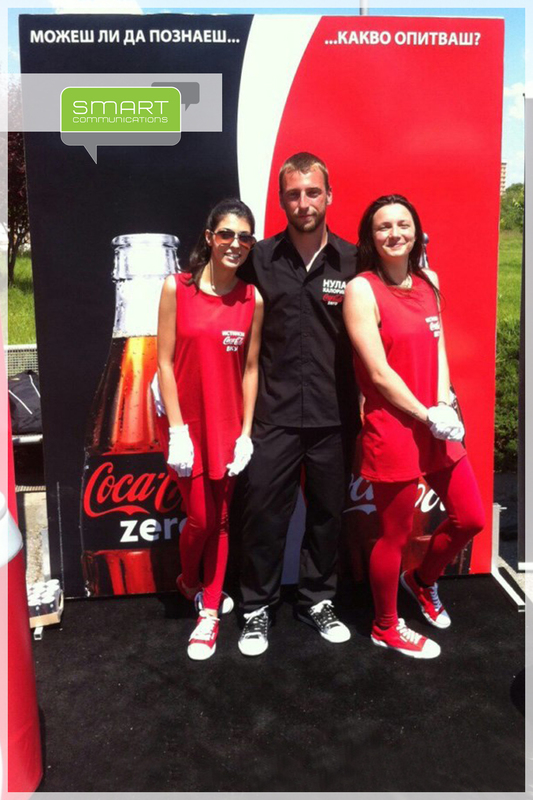 This was not just a normal sampling campaign – in the experiential part everyone had the chance to choose between two cans which were hidden in special holders and guess if what they were drinking was Coke Zero or Coke Red. The results didn’t surprise us – more than 70% of people couldn’t guess that what they were drinking was actually Coke Zero. 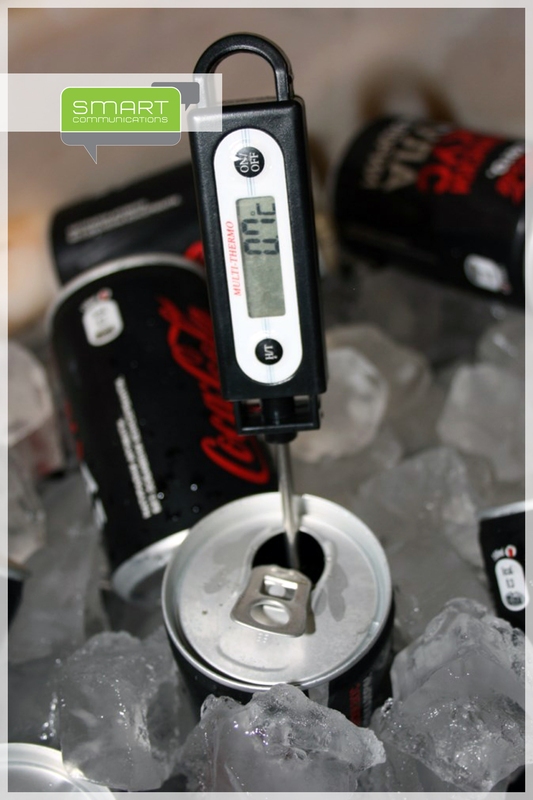 The secret to our blind tasting campaign was that actually both cans were Coca-Cola Zero. Organizing the blind comparative tasting was the hardest part in the entire experiential campaign – everything from covering up the cans, through maintaining the “Perfect serve” temperature of Coca-Cola in the summer heat in Bulgaria, to giving out thousands of branded prizes. Aside from sampling the great Coca-Cola taste of Coca-Cola Zero, all participants drew a scratch-card for a chance to win one of three branded Coca-Cola prizes. More than 5 000 people took home either a special thermo-sleeve for cans, an apron or a bottle of Coca-Cola. All locations were chosen in such a way so as to gather the attention of the largest possible traffic. They included supermarkets, parks and green spaces, seaside resorts, as well as workplaces in large buildings in the biggest cities in Bulgaria.